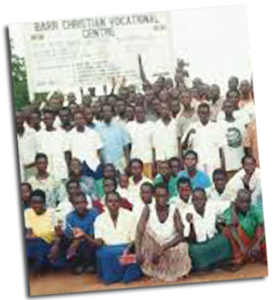 David is providing vocational training to orphans in Uganda. Project: To build a three-classroom block of classrooms that will provide 2,600 orphans vocational training. The proposed permanent construction work of the vocational training center will be one classroom block that contains three classrooms. They have acquired 30 acres of land ready for the construction of the vocational training center and for charitable work. Currently, David and his ministry are training 20 students under the trees in the compound of the church because we lack classrooms. When it is raining, they must be sent home. Potential direct beneficiaries of the school are 2,600 orphans, disabled children, vulnerable children and school dropouts, but the indirect beneficiaries of the community of Barr will be 15,000 family members and guardians who will benefit from the increased economic opportunities that will come from the vocational training. Click on the button above to make an online donation to Paul’s project. Please choose Project 19-7 from the drop-down list.